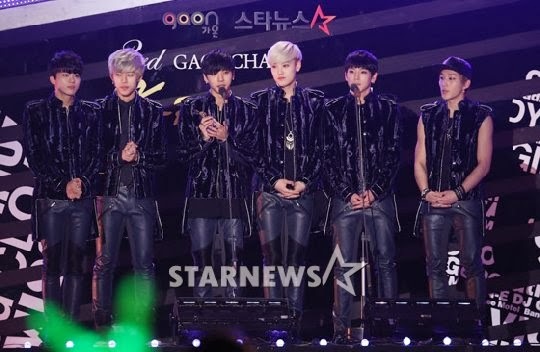 B.A.P won Gaon's "World Rookie Award," congratulations boys! MC: Now, it's time for This Year's World Rookie Award. What group will be the new K-pop's powerful group? 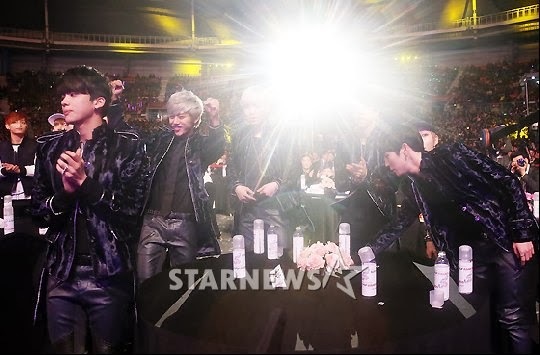 Forth Gaon Chart K-pop Awards This Year's Found Award, World Rookie B.A.P Congratulation~! 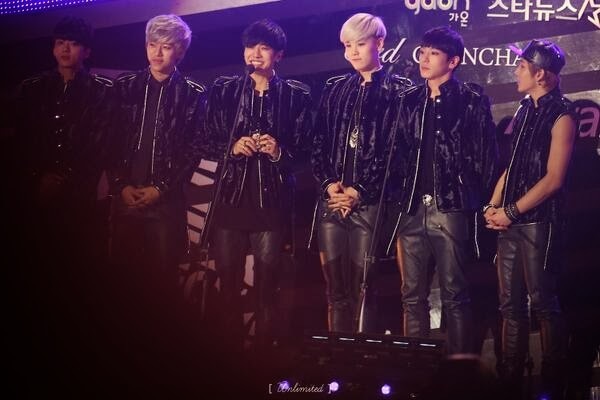 Congratulation B.A.P~! As a new K-pop star, they are getting a huge attention by getting 1st place on K-pop charts from Europe, US, etc. 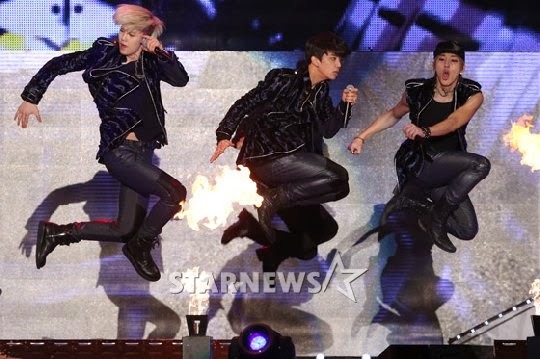 Recently, they showed world rookie's aspects by finishing US and Asia tour successfully. Congratulation. Please have a speech. 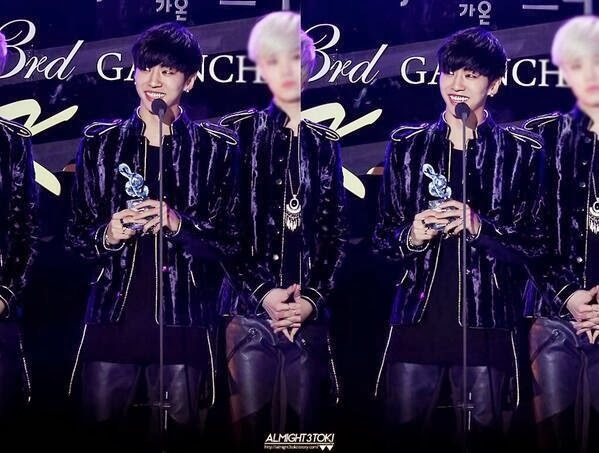 for giving this meaningful award. Thanks and I love our babys, fans. We'll give this honor to all the worldy K-pop fans and respectable K-pop artists. Thanks! 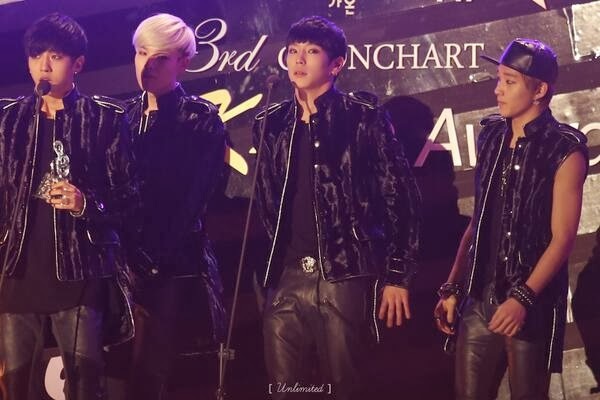 Chan: I love you babys! Ahhh! I am gonna cry!!! 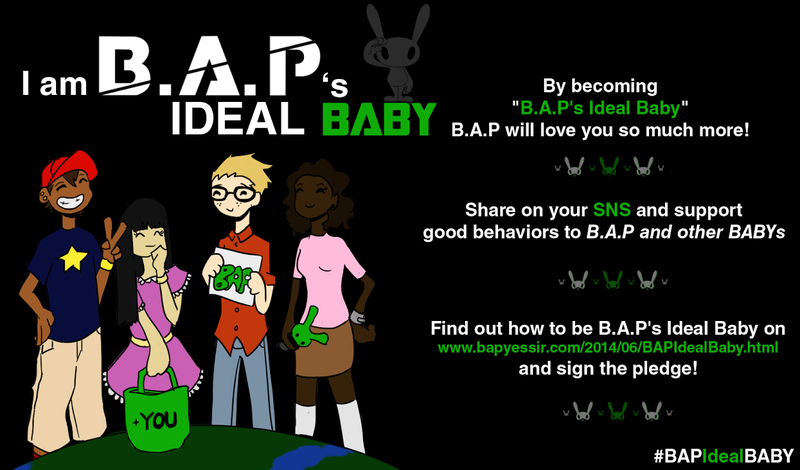 BAP fighting!! !